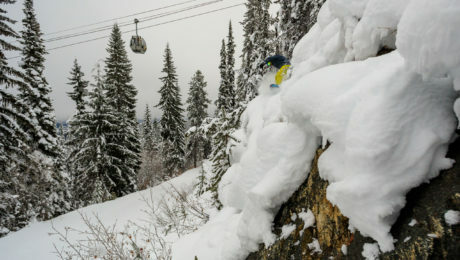 Golden, B.C – Hot off the heels of a successful Freeride World Tour event, the revered Ozone face has now opened to the public. This marks the completion of the new terrain expansion for the 2018-19 season, adding over 600 acres of incredible big mountain lines. 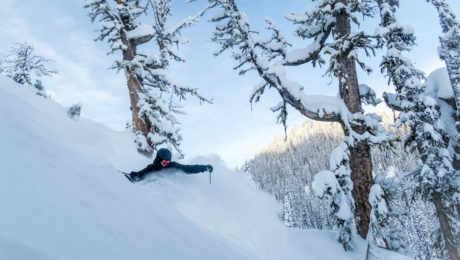 ‘This is a one-of-a-kind skiing and riding experience’, says Matt Mosteller, ‘combine the best of Mother Nature’s wildest terrain with the incredible Champagne Powder of Kicking Horse Mountain Resort and you have a real treat’, he added. This is big! In fact so big, it’s the biggest terrain expansion in Canada this winter, so give yourself some time to learn the lines, scope out entry points, take it easy on the first go, and make sure you check in with Ski Patrol and/or Winter Sports School for the best tips on how to ski it and or for your own skill enhancement to take it on! *Ozone is double black extremely advanced terrain, we advise anyone to ride with caution and only enter with appropriate ability level. Lutry, Switzerland– October, 2019 – As autumn begins to quickly spread through the high mountains, the moment to announce the FWT19 calendar has finally arrived. In 2019, FWT athletes will return to five of the most challenging and pristine freeride venues the globe has to offer. 50 of the world’s best freeriders in four categories – ski men, ski women, snowboard men, and snowboard women – will face-off in big mountain arenas spanning across three continents for their chance to be Freeride World Champion. Following the fourth stop in Vallnord-Arcalís, Andorra only riders holding enough points will have the opportunity to compete in the final stop in Verbier, Switzerland in March. With an incredible lineup of riders already confirmed – from hungry rookies, hard charging veterans and legendary wild cards such as Tanner Hall (USA) and Victor De Le Rue (FRA) – the FWT19 is shaping up to be an epic show. Don’t miss any rider news and competition information. Follow FWT social media channels and stay tuned to www.freerideworldtour.com as the competition season approaches! ‘Yee-Haw’ winter with the addition of new terrain being added! In fact, over-time this will be the biggest new terrain expansion in Canada. 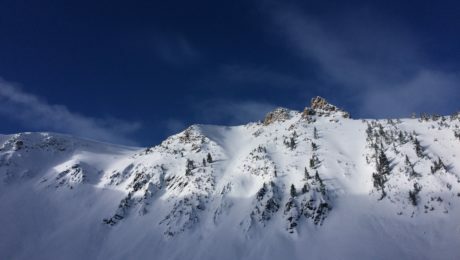 This year, potentially, a stomping 660 acres could open up, starting with the famous Ozone (featured on the Freeride World Tour last year) and Middle Ridge offering skiing into both Fuez Bowl & parts of Rudi’s Bowl. Increases the epic vertical to 4,460 feet and the area to 3,500+ acres of total terrain. This would not be possible without the tremendous support of Purcell Heli Skiing. 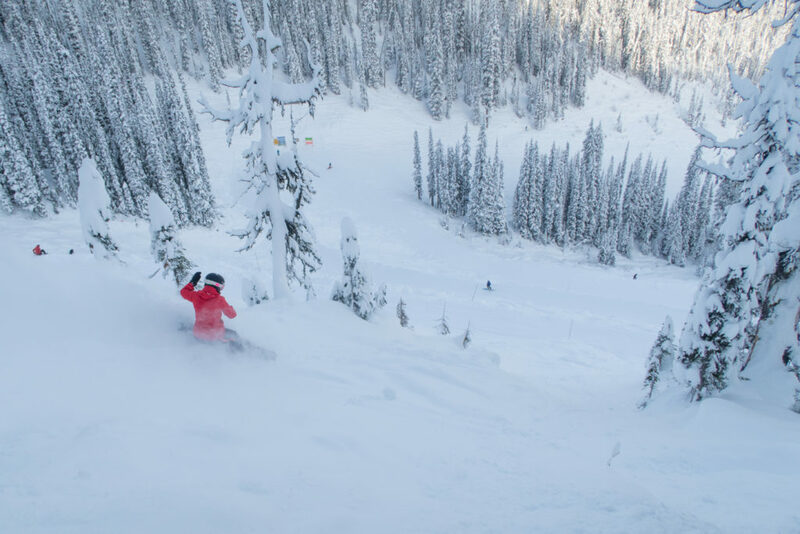 Kicking Horse is excited to be the only North American stop on the Freeride World Tour yet again this coming winter. Some of the most exciting big mountain action can be witnessed in person during the week of Feb 2 to 8, 2019. This is the ultimate compliment to other freeride events we host annually – Jeep Junior Freeski series – Feb 7-10, 2019 and Wrangle the Chute 2* and 4* Freeride World Qualifier – March 6-10, 2019. We’re adding 1 new grooming cat to our fleet! Plus our new cats are ‘Tier 4’, innovative technology from Pinroth, meaning they meet the new emission standards. 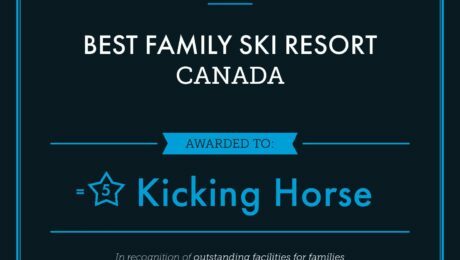 We’re proud to have been named the in the Top 5 Family Ski Resorts in Canada by the publication ‘Ski & Snowboard with Kids’. Ski & Snowboard with Kids is Australia’s only ski magazine for families. We have extended our Horse Play Corral, giving families a longer experience through the forest and it will also be great for our beginner Winter Sports School lessons. 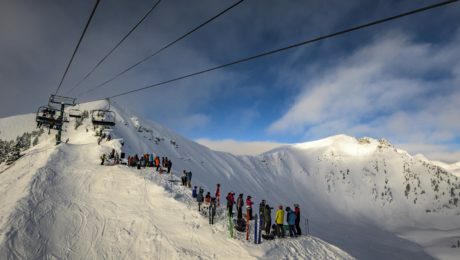 Getting to Kicking Horse is easier than ever. A shuttle service connecting Calgary International Airport to the resort will run twice a week, via the Banff Brewster Airport Express. Service runs Wednesday and Saturday from December to March. Some information is subject to change. 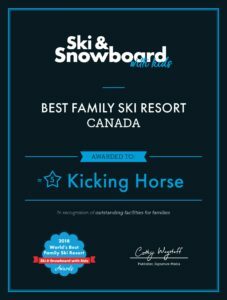 July 31, 2018 – We’re proud and honoured to be named in the Top 5 Best Family Ski Resorts in Canada by the Australian publication Ski & Snowboard with kids magazine! At Kicking Horse Mountain Resort we put an emphasis on family bonding and fun and offer a variety of family oriented events, programs and activities throughout the winter. Some of the family friendly activities we feature are a slopeside skating rink, tube park and snowshoeing. Noto nly do we also have fun and informative ski school programs for kids and families, we also have events throughout the winter family focused including The Sugar Shack (Quebec’s maple syrup tradition), Easter Egg hunts, 50% off tickets for family days and family friendly concerts. Book early and save big! There are winter vacation packages for next season available online to purchase, by booking early you ensure you get the date and location you want and can take advantage of early bird savings. Visit our website for all the options and to book today. June 15, 2018 – Try out our new 18-hole disc golf course at Kicking Horse Mountain Resort this summer, the course overlooks the Columbia River Valley and Rocky Mountains and scheduled to open on June 30th. 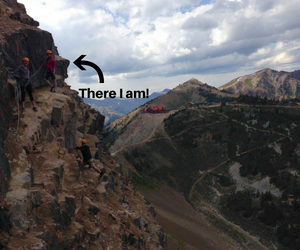 The course will be accessed by riding the Catamount Chair to mid-station and then playing/hiking back down to the base. The course features holes ranging from 80m to 200m and provides a fun introduction to the sport as well as a challenge for experienced players. Disc golf is played much like traditional golf. Instead of a ball and clubs, however, players use a flying disc or Frisbee®. The sport was formalized in the 1970’s and shares with “ball golf” the object of completing each hole in the fewest strokes (or, in the case of disc golf, fewest throws). A golf disc is thrown from a tee area to a target which is the “hole”. As a player progresses down the fairway, he or she must make each consecutive throw from the spot where the previous throw has landed. The trees, shrubs, and terrain changes located in and around the fairways provide challenging obstacles for the golfer. Finally, the “putt” lands in the basket and the hole is completed. Disc golf shares the same joys and frustrations of traditional golf, whether it’s sinking a long putt or hitting a tree halfway down the fairway. To play Disc Golf on our course, purchase a ticket and pick up a map/score card from the Outfitters Store or Guest Services (or use your summer season pass). Discs can also be purchased for use. The course will be open from 9:45am – 4pm (last chair ride) daily until September 4th after which hours will change. More information will be posted to our website. 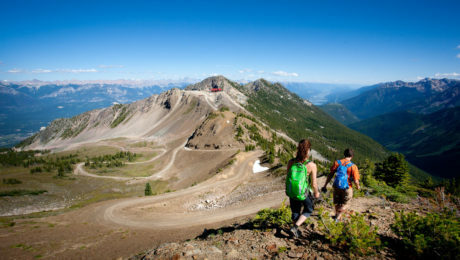 Hiking in the Alpine at Kicking Horse Mountain Resort is now open for the summer season! Our trails can be accessed by riding the Gondola, with good early season conditions, trails currently open are It’s a Ten, Terminator 1 & Terminator 2. For more detailed information on hiking trails and to download our trail map, visit our website. May 14, 2018 – Skip camping and sleeping on the ground this May Long Weekend! 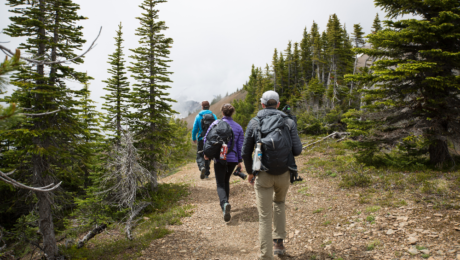 You can get in all the sightseeing and outdoor adventures you need at Kicking Horse Mountain Resort during our Summer Preview Weekend (yes, you can even see a Bear). In fact, did you know the early part of the season is the best time of the year to visit Boo, it’s one of his most social and active cycles of the whole year and he’s always looking forward to making new friends! Kicking Horse Mountain Resort will be open Saturday May 19th – Monday, May 21st. 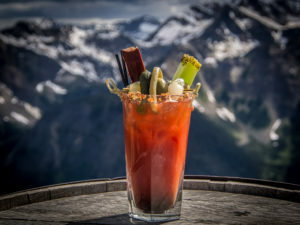 Offerings will include lunch at Eagle’s Eye Restaurant, Sightseeing & Grizzly Bear Interpretive Centre (Bike Park & Via Ferrata open on June 23rd). See the hours section on our website for more information. 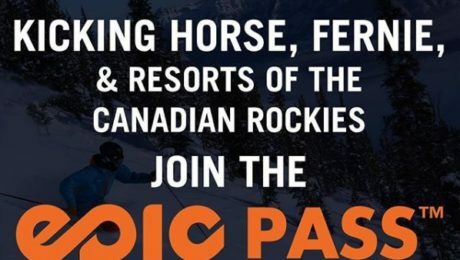 Community Day – if you are a resident of Golden or Area A we invite you to come out and sample what our summer has to offer at Kicking Horse Mountain Resort. Show your ID (or bill with address) and receive a free lift ticket for the day for sightseeing, to visit Boo or take a spin down the bike park. Community Day is on Sunday, June 24th. 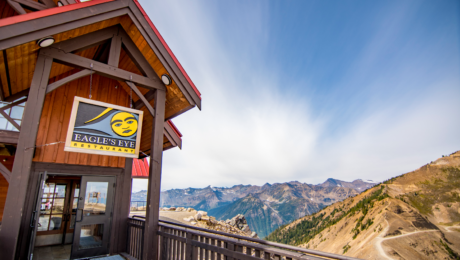 Perseid Meteor Shower; Stargazing at 7,700 ft – Kicking Horse Mountain Resort is pleased to announce the return of the Perseid Meteor Shower viewing at the award winning Eagle’s Eye Restaurant (located at the top of Eagle Express Gondola). Further details will be posted soon. For more event information see our online events calendar.